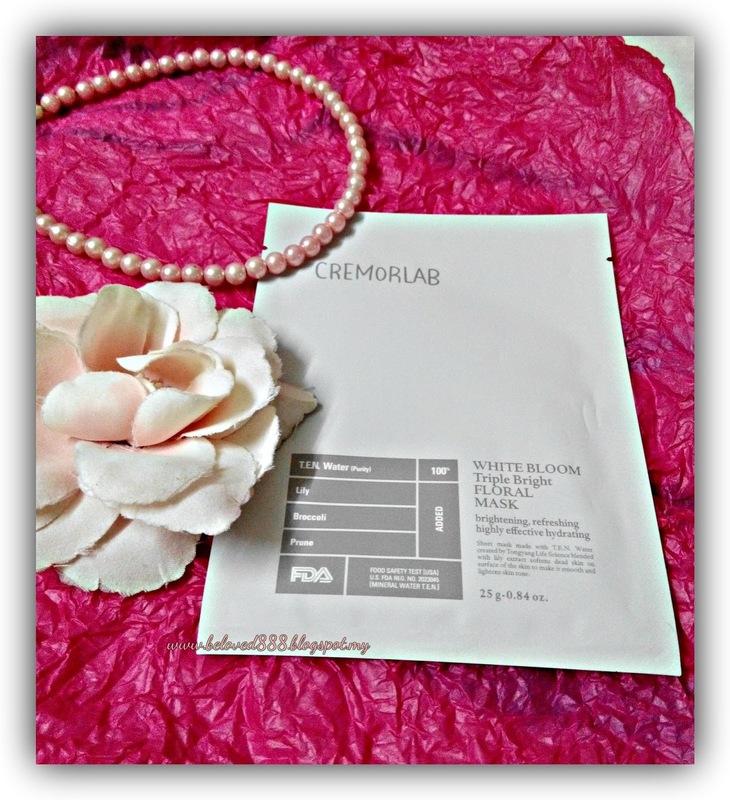 This is my first time try on Cremorlab mask as I heard Cremorlab is the best selling products in Korea and it sell like hot cake. I wondering how true is the statement until I try it myself. As usual I will proceed with my routine skincare before put on mask. The mask size suit our Asian face as we have smaller face. Oppsss....Do you agree with me???? 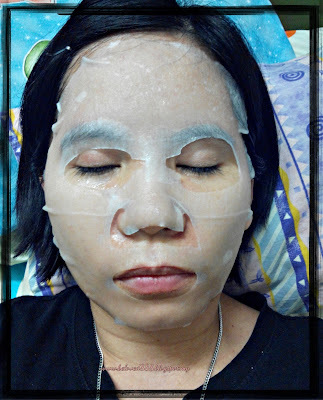 Take a good rest for a while and enjoy my mask session. The mask gives me a cooling feeling and it does smell nice. This mask is 100% organic cotton mask that can penetrate the ingredient into the skin and leave our skin hydrate and brighter. This sheet of mask made with T.E.N water to increase the moisture of our skin while lily extract helps to brighten and improve the skin complexion. Let see the result after the mask session. I have taken my skin condition before and after. 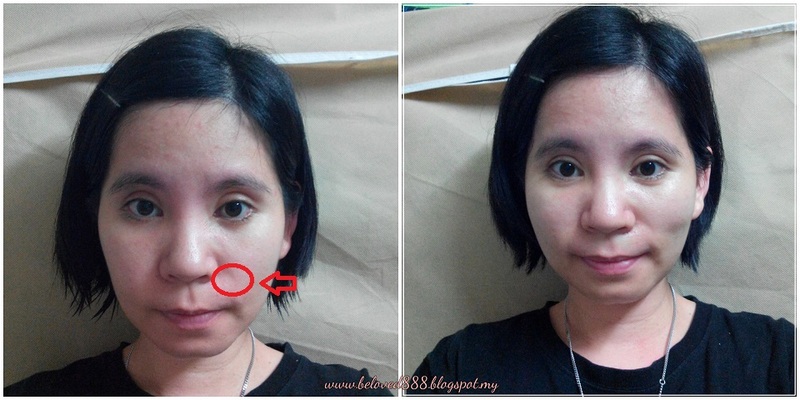 As you look at my face on the left side, you can see my skin a big dull, dry and sagging (point using red cursor). Compare with right hand side picture, you can see instant lifting on my face, more brighter and skin more glowing and I feel refresh. Now I 100% agree that Cremorlab Mask is the best mask. 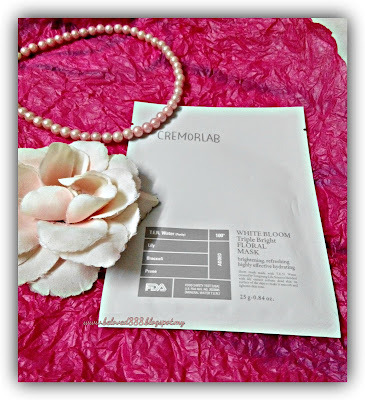 Psst.. this Cremorlab mask is free parabens, benzophenone, mineral-oil, petrolatum, talc and it safe to be used on our skin. Where to grab this hot selling mask? You can purchase online on Watsons Website or visit the nearest Watsons outlet.